Rabbits are very sociable animals and enjoy a good playtime with rabbit friends as well as human companions. Their gentle nature makes them very easily contented and even a rub on their head is considered a good fun time. A spacious bunny-proofed area is good for them to exercise and roam about in. 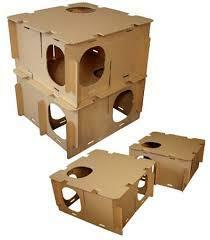 Some simple toys such as cardboard houses are good to keep them simulated and excited. Bunny-proofing: Rabbits like to chew on wires, fabric, paper and wood. They also like to hide in dark and tight corners. To understand where are some areas to bunny-proof, lie down on the floor and look for these hazards. 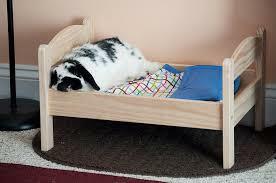 Raise wires and curtains and cover up tight corners if you do not want your rabbit near them. Furnitures like recliner with dangerous gaps should also be off limits to your rabbit. 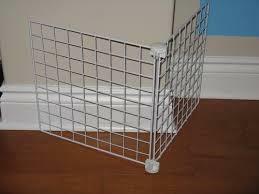 You can use plastic tubes or metal grids to cover up corners of the house that your rabbits like to chew on. 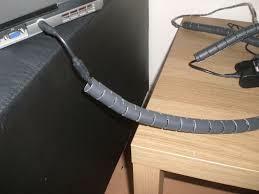 You can also use plastic tubing to enclosed loose wire. 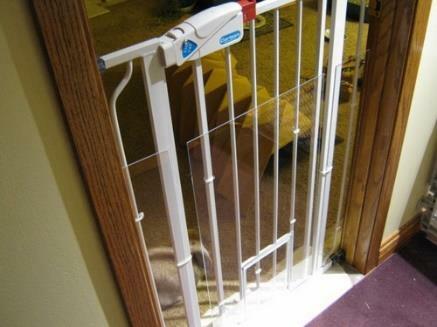 Baby gates can be used to block access while keeping the door open. 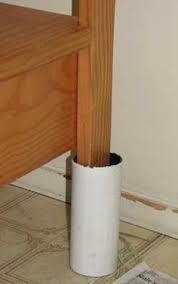 You can use wood or plastic panels to block off access to tight gaps between your furniture. Toys: Rabbits are smart animals who requires ample stimulation to stay active. 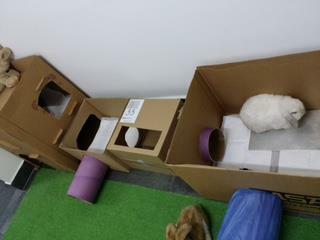 Clean and dye-free cardboard boxes with more than 1 opening are a natural way for them to practise their burrowing skills. 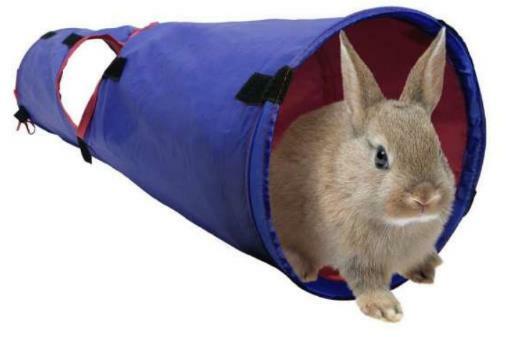 Other toys include tunnel, paper towel roll, phone books and even stuffed toys can be quite fun especially for a solo rabbit. Cardboard house from www.busybunny.com and home-made cardboard play grounds using clean boxes collected from office. Vinyl tunnel that you can find from online pet stores and a Wooden bed from IKEA. 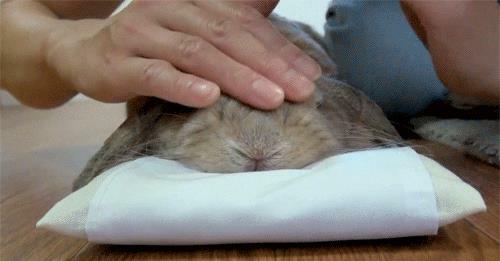 Massage: A good massage from head to the tail can be very soothing for a rabbit. Not only will you be able to spend some quiet time with your rabbit, you will also be able to inspect your rabbit from side to side and check for abnormalities.